Rest! The group members who arrived Saturday morning had gone with little sleep (airplane sleep at that) for over 30 hours. After an event-filled day in Budapest, we passed out onto our beds Saturday night completely wiped out. In God’s providence Daylight Savings time came a week early in Hungary! God is good. After receiving that extra hour of sleep the group was ready to go on Sunday. In the morning the team said goodbye to Greg and Adlin, two members of the first group to Hungary, as they headed back home. The majority of the time Sunday was spent with the church fellowship in a town called Zsambok. We accompanied the leaders of the church as they visited in the homes of people who had not been to the worship service for some time. We prayed for them and spoke words of encouragement to them. One conversation sticks out in particular. 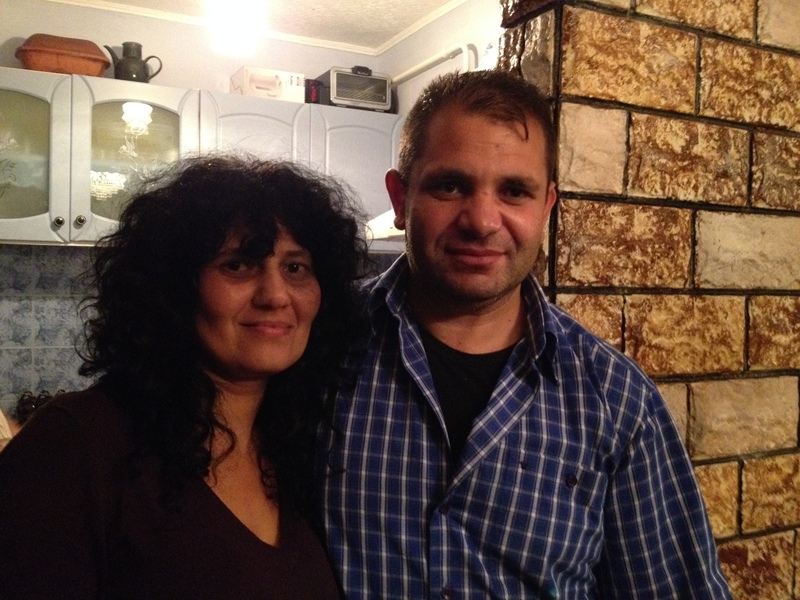 The elder of the church in Zsambok, Feri (pictured with his wife), and his father had not been speaking due to a recent disagreement. Feri had rebuked his father regarding poor treatment of people within the church. Ever since then, his father had not been attending the church in order to avoid his son. When some of the church leaders, including Feri, and members from The Orchard visited his father he was brought to tears as they prayed for him. Last night he came back to the worship service. In God’s providence, I was preaching about restoration of our relationship with God and with fellow believers through forgiveness. The church gathers every Sunday evening in Feri’s house. Last night, there were about 50 people packed in to a very small living room about 15’x15′. It was an honor to preach at the worship service. The passage was Matthew 18:21-35, the parable of the unforgiving servant. The church seemed very receptive of God’s Word. Please pray that they would respond to Jesus’ offer of forgiveness by forgiving others from the heart. After the service we joined the church family for some good eatin’. Our friend Kárcsi made a pot of goulash that was finger-licking good. Considering that Jesus’ ministry and the ministry of the early church was marked by a unified community gathered around table fellowship, there could not have been a more fitting end to the day. Wonderful story of forgiveness and healing. Praying for the ministry in Hungary….That goulash looks good! Adam, that is SO cool. Colin also preached a bit about reconciliation on Sunday. Since we’ve been, we need to minister reconciliation to others! I have been asked to pray about new Hungarian towns so it’s GREAT to hear about Zsambok. So proud of you Adam and the spreading of God’s word. You are in our prayers. Praising God as He builds the church, and as He heals relationships. Restoration and forgiveness, freedom!